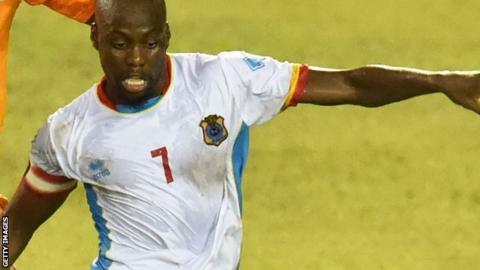 DR Congo captain Youssouf Mulumbu will miss Saturday's Africa Cup of Nations quarter-final against Congo. The 28-year-old missed Monday's draw with Tunisia with a hamstring injury and again expects to sit out. "The medical staff are working hard to make sure I am back playing again," said the West Brom midfielder, who was injured against Cape Verde Islands. "But I trust my team-mates to qualify us for the semi-finals and then I will play another game in this tournament." DR Congo qualified for the knockout stages on goals scored to reach the last eight for the first time since 2006.